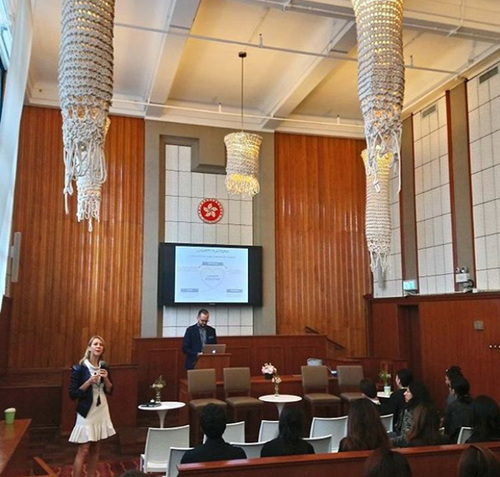 Our Hong Kong Savvy team attended the the SCADTalks Educator Series on December 5th 2017, which presented the theme of Sustainability in Fashion Education! 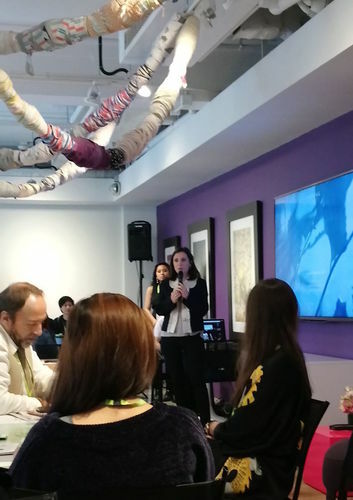 According to our Savvy Hong Kong Consultant, Rie, the day was full of inspiring seminars and interactive workships where the audience were able to listen to speakers such as: Polly Ho, one of the Co-Founders of Loom Loop, and Geraldine Vallejo, Sustainability Programme Director at Kering Group. Polly Ho is a local Hong Kong designer and has her collections featured in New York Fashion Week, and just last year, set up her first store in Hong Kong's PMQ mall. Her collections use luxurious Canton silk, which place a heavy emphasis on heritage conservation and the protection of traditional craftsmanship. Geraldine Vallejo joined the notable Kering Group as the Sustainability Programme Director in October 2013. Her passionate role is to provide support and advice for the group's luxury houses on how to truly integrate environmental and societal aspects into all their processes. She is also primarily responsibile for sustainable innovation along with building strategic partnerships. 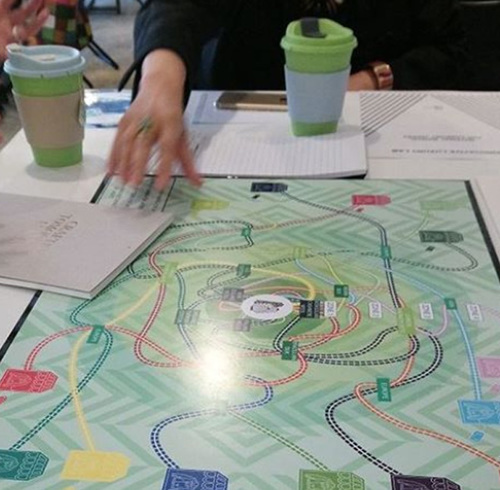 In addition to the importance of conservation and environmental sensitivity whilst creating Fashion, Rie and the other audience members were also given the exciting opportunity to play a board game about designing products, which had the least environmental impact. Now THAT really screams environmental innovation, along with the ever-present fact that the environment should be at the forefront of our minds, no matter what industry.